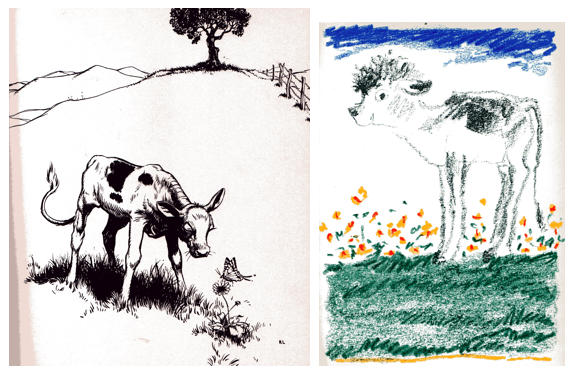 When Richard Jesse Watson mentioned FERDINAND THE BULL as the picture book text he’d most like to illustrate I hurried to my bookshelves. 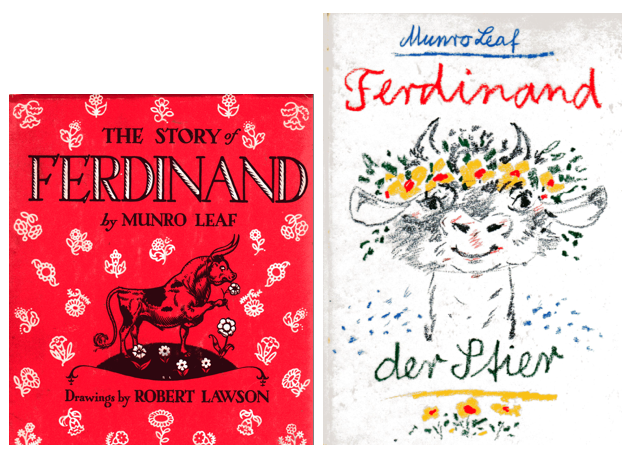 I have loved FERDINAND since childhood, and some 40 years ago found a German edition illustrated by Werner Klemke. 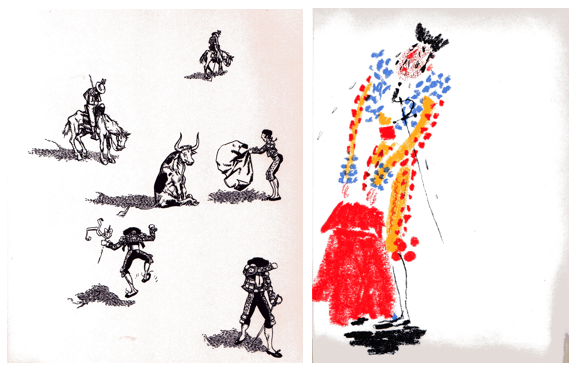 While we’ve grown used to folktales being illustrated or interpreted by a wide range of artists, it is unusual for a modern text to be re-illustrated. Our initial reaction often resembles our response to the remake of a beloved film. “What have they done?” But exploring such examples can be valuable to those of us who write but not illustrate. It helps us understand how two different artists can experience and envision our words and story. 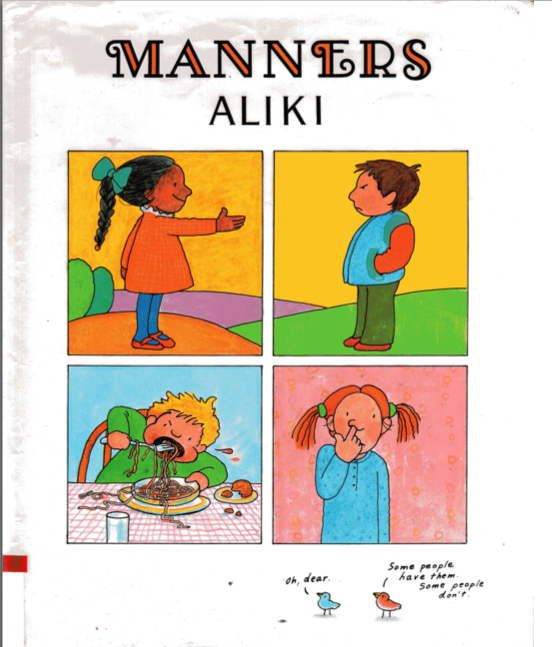 Though this German edition is out of print, we can see all the illustrations thanks to the Internet. Go to YouTube: Ferdinand der Stier.wmv – YouTube. Leaf, Munro. 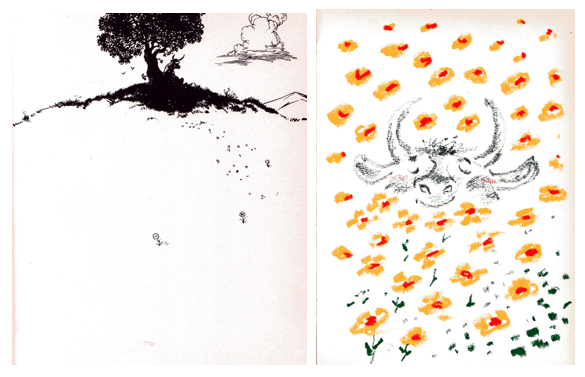 FERDINAND THE BULL. Illus. by Robert Lawson. Viking, 1938. Leaf, Munro FERDINAND DER STIER. Illus. by Werner Klemke. Transl. by Fritz Guttinger. 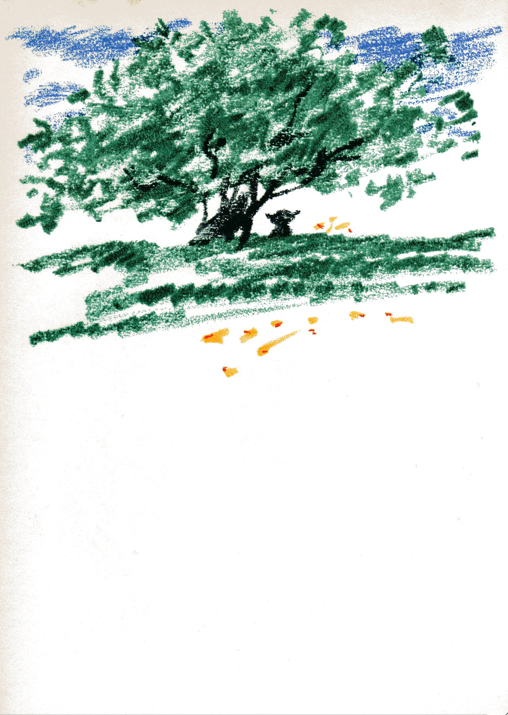 Parabel Verlag, Date Unknown. One of the primary reasons many of us write is that we have experienced time and time again the medicinal pleasures of reading. We’ve read books that opened new doors. Read books that reminded us we were not alone. 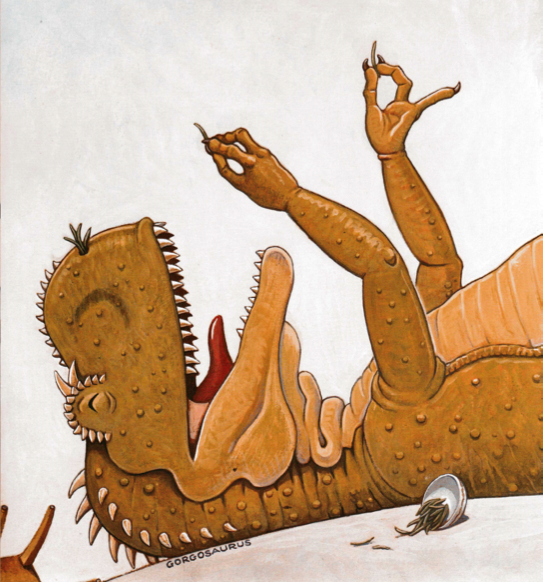 Books that made us laugh during a difficult time. Books that made us cry when we desperately needed release. 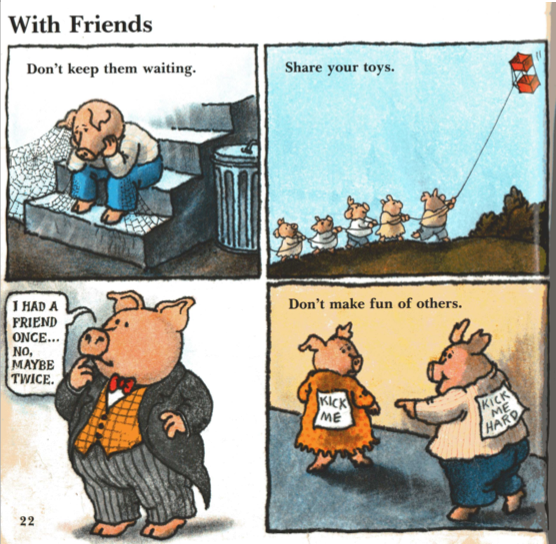 The following picture books always made me feel better and sparked renewed energy to write. FOOD FOR THOUGHT by Saxton Freymann & Joost Elffers. 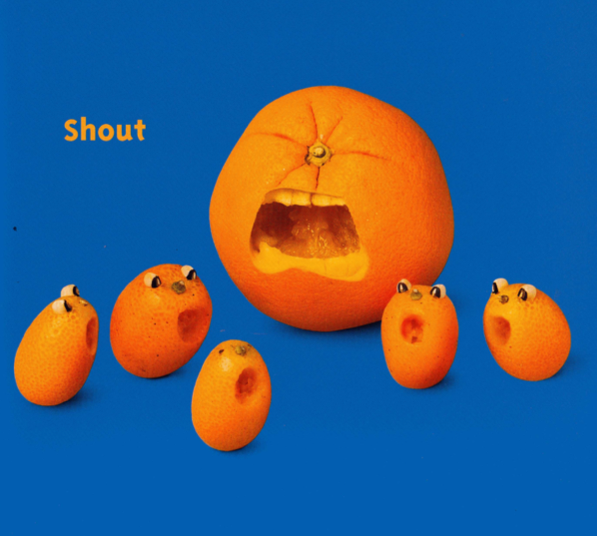 (Levine Books, 2005): This book of literal food play always brings me a smile, and reminds me even the most ordinary object or thought can become so much more if you let you mind explore. GOLDIE THE DOLLMAKER by M.B. Goffstein. (Farrar, 1969): I didn’t discover this book until several years after its publication. But when I did it became THE book supporting my desire for a life in the arts and continues to remind why I write. 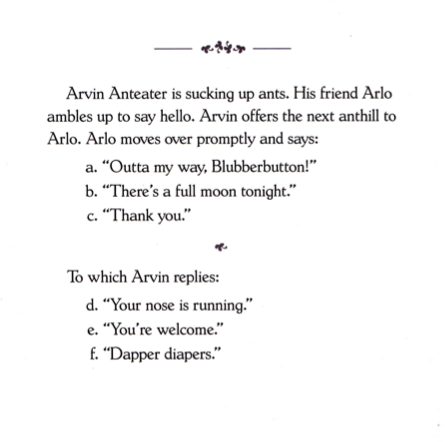 “A Good Picture Book Should” by Arnold Lobel in CELEBRATING CHILDREN’S BOOKS edited by Betsy Hearne and Marilyn Kaye. (Lothrop, 1981). 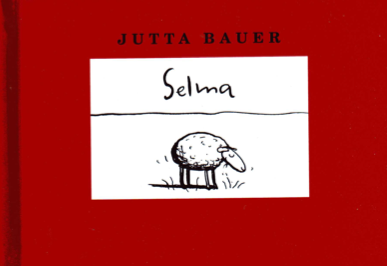 SELMA by Jutta Bauer. 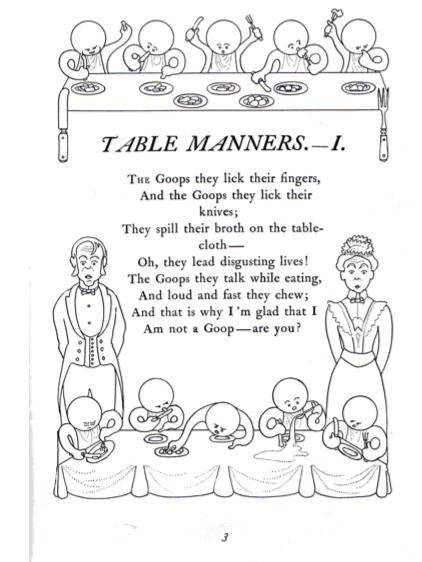 (Kane/Miller, 2003): This miniature picture book honors those who find contentment in their daily lives. 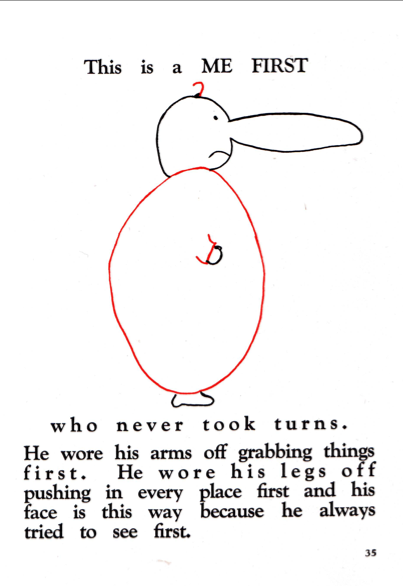 THE STORY OF FERDINAND by Munro Leaf. Illus. by Robert Lawson. (Viking, 1938): Quite simply, this classic reminds me that all I have to be is exactly who I am. 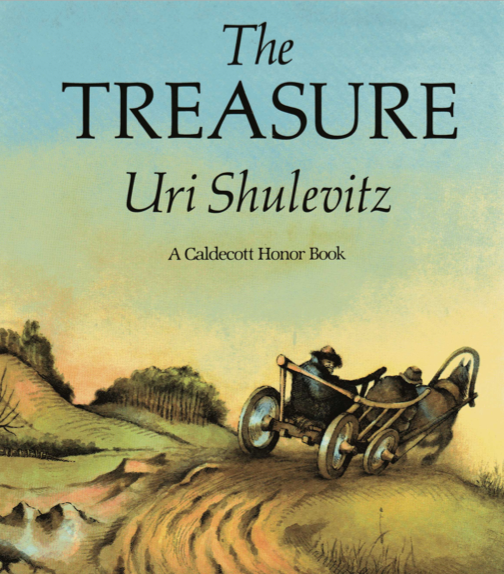 THE TREASURE told by Uri Shulevitz. (Farrar, 1978): This beautifully written retelling of a folktale affirms honoring our dreams, the journey, and the reality that our greatest treasures our within our daily lives. No matter what picture books are in your literary medicine cabinet, the reasons they are there remind us of what our young audience wants. Support, not scolding. New experiences, not lectures. And always, a sense of connection, not division.